MRI AND MRA | Sutter Buttes Imaging Medical Group, Inc. Magnetic Resonance Imaging (MRI) uses a strong magnetic field, radio waves, and a computer to generate detailed images of the body without the use of radiation. These images allow radiologists to diagnose many pathologic processes. MRI is widely used for imaging soft tissues in the body including the brain, nerves and muscles. Sutter Buttes Imaging was the first full-strength MRI facility in the Yuba-Sutter area, and is accredited by the American College of Radiology, the gold standard in quality assurance certification for MRI centers in the USA. 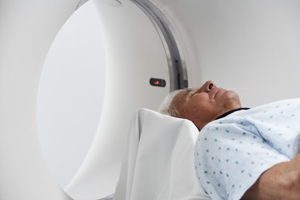 What is the difference between Open vs. Closed MRI? There are two main designs in MRI units. At Sutter Buttes Imaging, we utilize a GE 1.5 Tesla MRI unit, a full-strength/ “closed MRI.” This type of machine uses a strong magnetic field (measured by Tesla) which produces excellent high resolution images. Our MRI is the highest field strength unit in the area and offers superior image quality and speed. An “open” MRI unit has a smaller magnetic field (typically less than .5 Tesla), resulting in much reduced image quality and detail. It can take up to 3 times longer for your scan in an open MRI. Generally, an open MRI would be preferred if a patient is extremely claustrophobic or severely obese. However, most claustrophobic patients can still undergo a MRI in our closed-unit by having a mild sedative prescribed from their referring physician prior to their exam. Magnetic Resonance Angiography (MRA) is an MRI examination devoted to the evaluation of the vascular system. It is a non-invasive alternative to the conventional x-ray based angiography. MRA’s can be performed on any of the large blood vessels in the brain, neck, body or extremities. It is used to detect aneurysms, narrowing or blockage of vessels, and other abnormalities.